LOGAN - The Logan High School softball team snapped a five-game losing skid with Thursday's 5-2 win over Westside at the Logan Softball Complex. Tied 2-2 through four innings, Logan (5-11) pushed three runs across in the bottom of the fifth and that ended up being the winning runs for the Lady Cats. Chloe Bryant pitched the win for Logan, going seven innings and allowing two unearned runs on six hits with seven strikeouts and one walk. Logan had five hits in the game, led by Bryant who was 2-for-3 with a double and one run batted in. Haley Maynard doubled and had one RBI. Ashton Conn singled and knocked in one run. Abby Baisden had a hit as well for Logan. Westside committed five errors in the game to just one for Logan. Logan is scheduled to host sectional rival Lincoln County on Monday at 5:30 p.m. The Lady Cats then play at Wyoming East on Tuesday, head to Mingo Central on Wednesday and play at Sherman on Thursday, April 11 before hosting two-time defending state champion Herbert Hoover on Friday, April 12. WYOMING EAST 1, MAN 0: The Man High School softball team dropped to 4-5 on the season with Friday night's 1-0 loss at Wyoming East, a Class AA state tournament team from last year. Ohio recruit and all-state pitcher Holly Brehm notched the win for East as she struck out 12 batters in a full seven-inning worksheet. Shania Kennedy took the loss for Man as she fanned seven. Bella Conn and Reagan McCoy each had hits for the Lady Billies. Miranda Hurley and Kelli Cameron both had singles for Wyoming East. Haleigh Parsons drove in a run on a sacrifice fly. 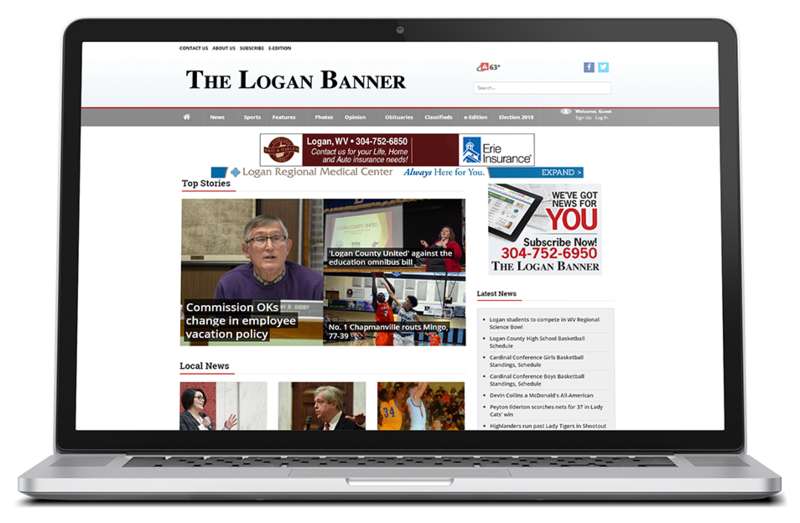 Man was slated to host Fayetteville on Saturday before hosting county rival Chapmanville on Monday at 5:30 p.m.
Paul Adkins is the Sports Editor of the Logan Banner. Follow him on Twitter at @PAdkinsBanner or email him at padkins@hdmediallc.com.